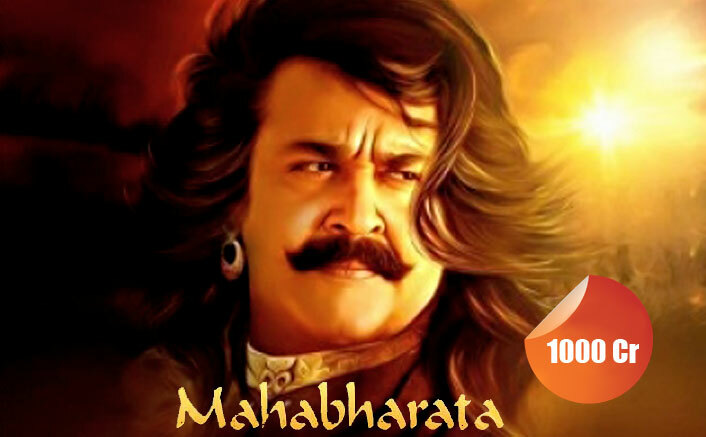 We recently learnt about one of the biggest film projects, titled The Mahabharata which stars Mohanlal as of now. Why this movie is set to be huge is because, it is being made at a budget of 1000 crores which is the highest ever for a film. Post this major announcement, we couldn’t help but think how many more big budget projects are in the making and also in the past, films that have been mounted on high budgets such as over 100 crores. Mohanlal is all set to play Bheema in what is being touted as India’s biggest-ever motion picture, The Mahabharata. The film will be an adaptation of Jnanpith award winning author MT Vasudevan Nair’s classic novel Randamoozhan. The movie will be directed by ad-filmmaker Shrikumar Menon. It will be produced by UAE-based Indian businessman BR Shetty, who is the founder and Chairman of UAE Exchange and NMC Healthcare. He is reportedly investing Rs 1000 crore on the project. One of the most awaited films of the year, Rajinikanth and Akshay Kumar starrer 2.0 is a sequel of Enthiran. Featuring visual effects of Hollywood standards and with internationally reputed technicians working on it, the film has been made on a mammoth budget of 400 crores. 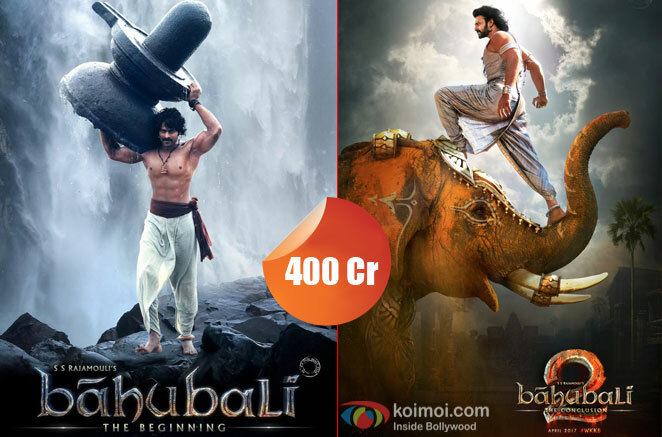 S S Rajamouli’s magnum opus Baahubali series, consisting of two films has been made on a budget of 400 crores. The film’s VFX have been lauded and are a proof of how well spent the money is in terms of the film’s huge canvas. The sequel is all set to hit the theaters this week. It will be interesting to see how they recover costs for the same. 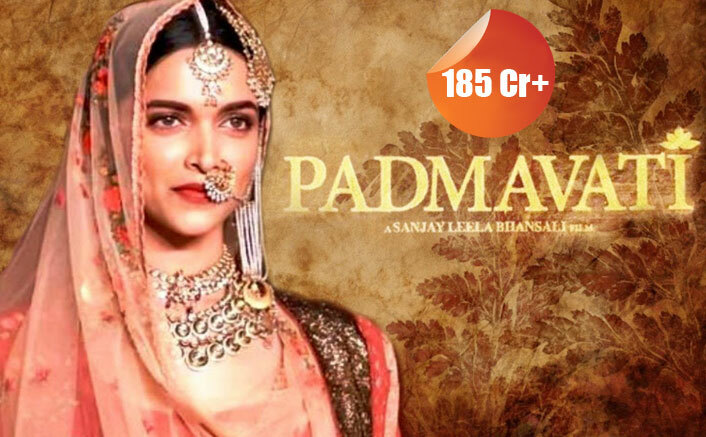 Sanjay Leela Bhansali’s upcoming historic drama, Padmavati is all set to go a notch higher than his previous films. The film is being made on a budget of over 185 crores. It stars Deepika Padukone, Shahid Kapoor and Ranveer Singh in lead roles. Retelling the story of Rani Padmini of Rajasthan, the film is expected to be high on visual appeal. 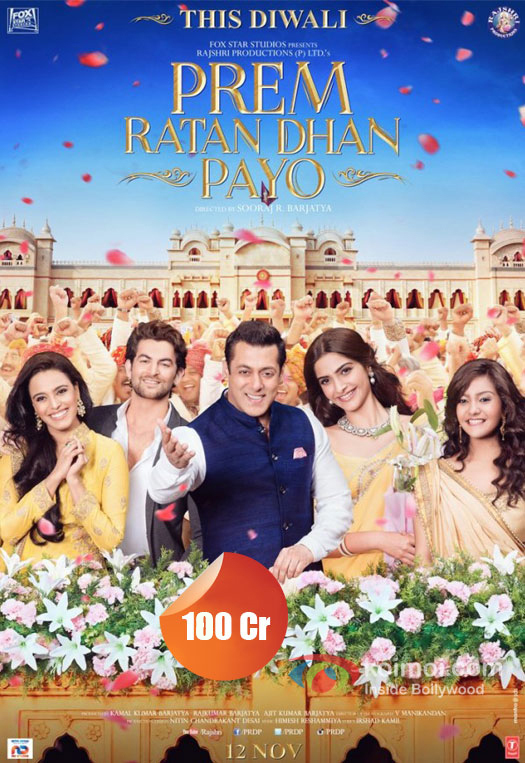 Salman Khan’s 2015, Diwali release, Prem Ratan Dhan Payo may have been the typical Rajshri drama but thanks to its opulent sets and costumes, the film’s budget was as high as 100 crores. Aamir Khan’s blockbuster film Dhoom 3, that set records with its release in 2013 was made on a budget of 125 crores. Wow! isn’t that too huge for a film that was quite average on content? Hrithik Roshan and Katrina Kaif starrer Bang Bang was a remake of Hollywood film Knight & Day. With exotic locations and high octane action sequences, the film stretched its budget to 140 crores. 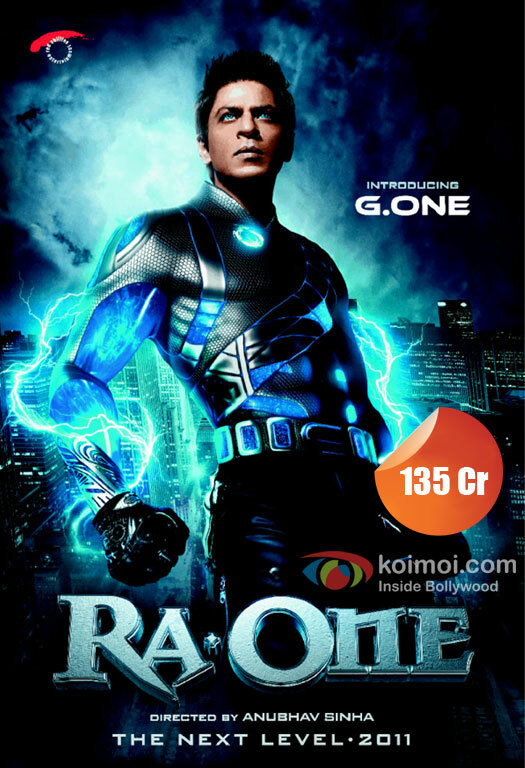 Remember Shah Rukh Khan’s superhero drama being one of the most talked about projects in 2011? Well that was because of its high budget! 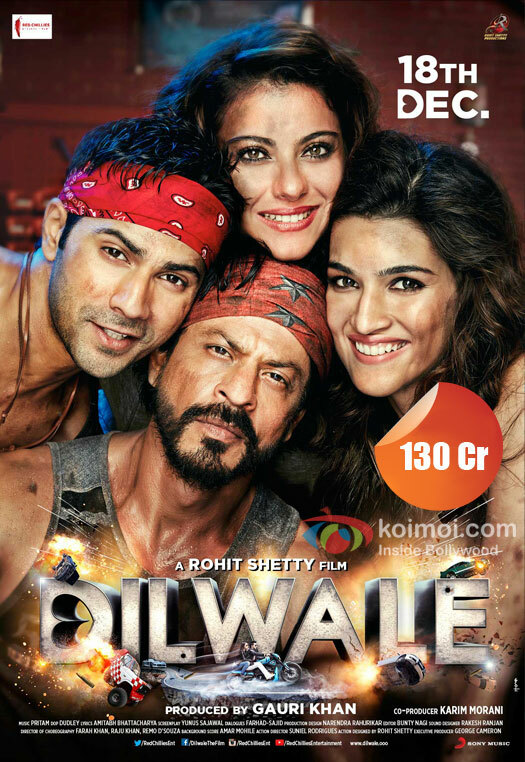 This multi-starrer of Rohit Shetty, starring Shah Rukh Khan, Kajol, Varun Dhawan and Kriti Sanon was made on a budget of 130 crores. Rajinikanth and Aishwarya Rai Bachchan starrer Robot was one of the most expensive films during its time. It was made on a budget of 132 crores. The sequel is now expected to be even bigger and better with a 400 crore budget. 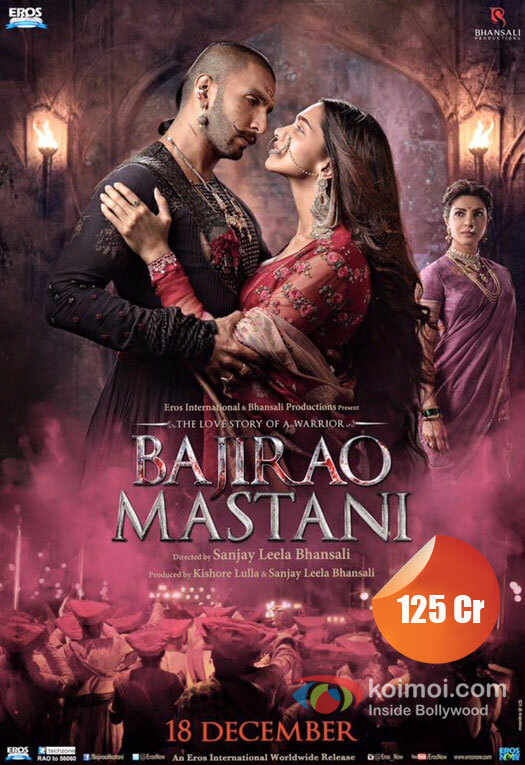 Sanjay Leela Bhansali’s magnum opus Bajirao Mastani was a visual treat to the eyes. From the beautiful sets to costumes, everything worked for this film and that everything, came at the cost of 125 crores. 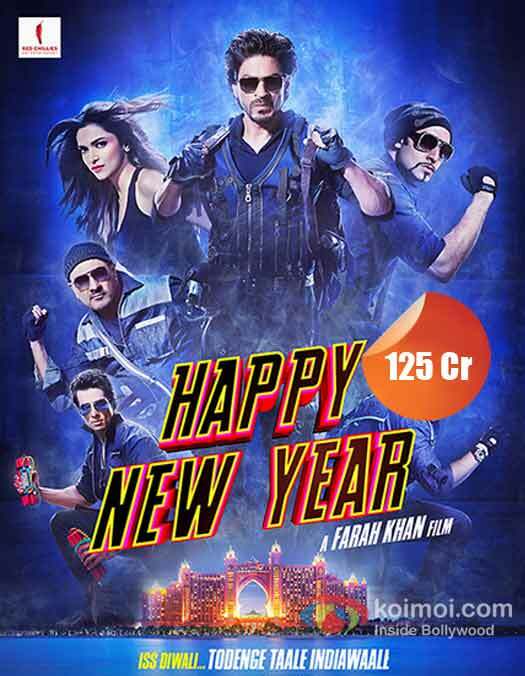 Farah Khan’s multi-starrer, Happy New Year starring Shah Rukh Khan and Deepika Padukone in key roles was made on a budget of 140 crores. The film went on to collect 200 crores at the box office. Hrithik Roshan’s 2016 disaster, Mohenjo Daro met with huge losses for producers. The film was made on a budget of 125 crores and managed to collect merely 58 crores at the box office. 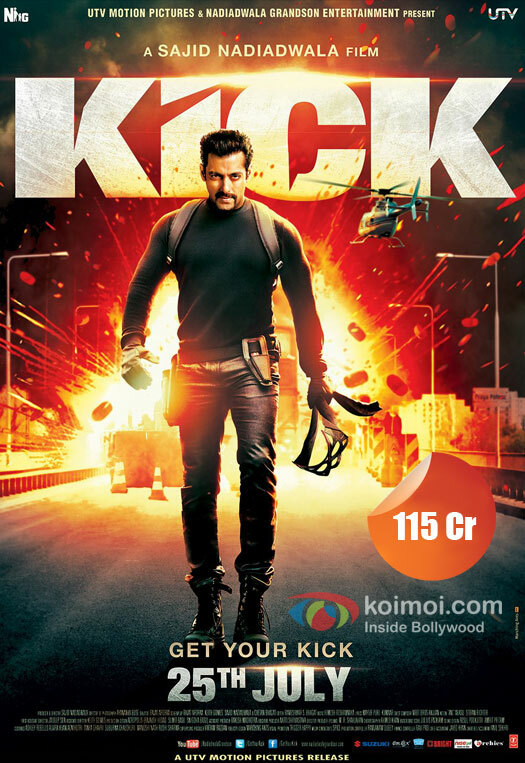 Salman Khan’s action drama Kick was made on a budget of 115 crores. The film was mostly shot abroad. It was a successful affair at the box office. 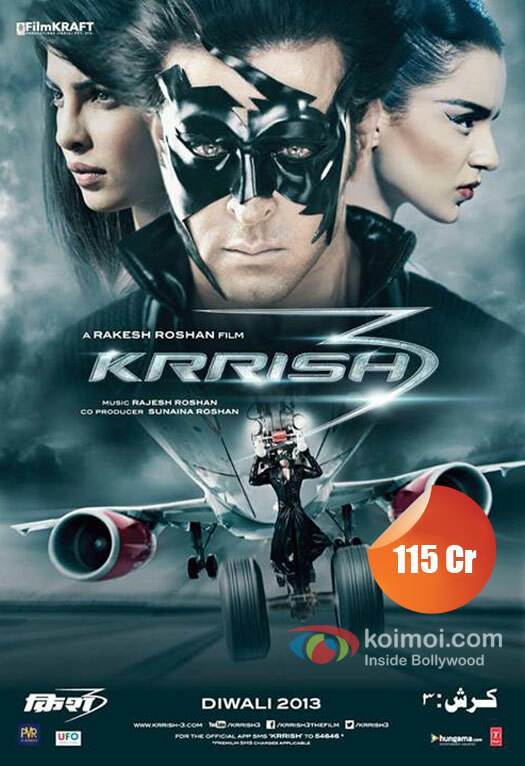 Hrithik Roshan’s Superhero drama Krrish 3 was made on a budget of 115 cores. The film required high quality VFX and was expected to be an expensive film. 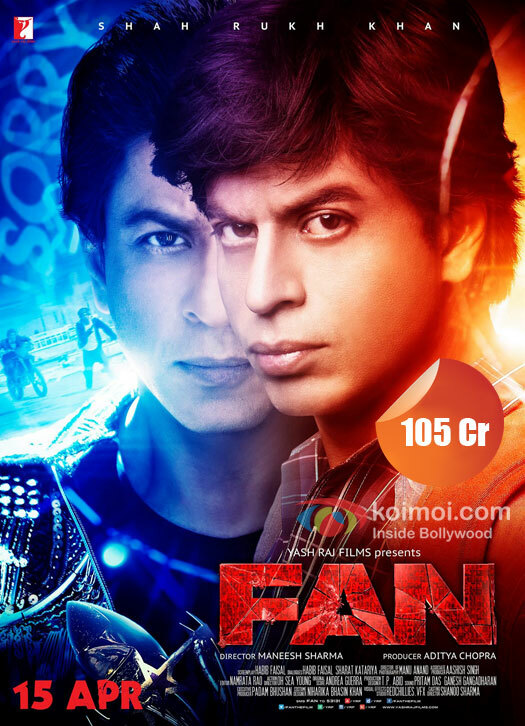 Shah Rukh Khan’s Fan changed the face of VFX in Bollywood, with their top notch work on SRK’s dual avatar. The film was made on a budget of 105 crores.